Glasgow 2014 went further than any other Commonwealth Games and major sporting event in targeting opportunities for women entrepreneurs and business-owners too. Durban’s win can build on this momentum as can the Gold Coast Games in 2018. As the only organisation accredited to and recognised by 53 Governments working on women’s economic empowerment (as the Commonwealth Games Federation is accredited for its work on Commonwealth sport), we congratulate the Commonwealth Games Federation and the city of Durban for winning the bid to host the Commonwealth Games in 2022 and as the first African city to do so. In this key year for women’s economic empowerment with key meetings at the UN in September and at CHOGM in Malta in November including the first ever Women’s Forum, we reaffirm and renew our commitment to making women’s economic empowerment happen through the 3 Ts of trade, talent and training. Our work with the Chartered Institute of Procurement and Supply (CIPS) and UN Development Business (UNDB) in supporting procurement capacity-building and accessing contract awards for women-owned/led/operated businesses are core to our work on trade, especially given that less than 1% of such opportunities are taken up today by women-owned businesses globally. 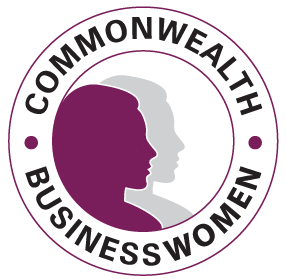 The Commonwealth has a billion women with 60% under 30 with its 53 countries accounting for 20% of world trade where the costs of doing business are 19% less than doing business with non-Commonwealth countries. Connect – collaborate – and do commerce with and via the Commonwealth.